Jordon Henderson seals new Liverpool deal Liverpool star Jordan Henderson has signed a new long term deal, according to Liverpool official site. Liverpool star Jordan Henderson has signed a new long term deal, according to Liverpool official site. 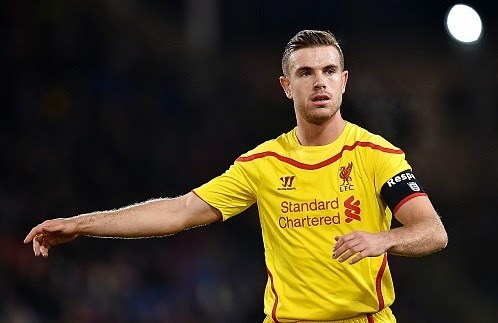 Liverpool vice-captain Jordan Henderson has finally sealed a new deal with the Liverpool side. The talks started for the new contract last month between the player and the club’s officials. The Ex-Sunderland player has committed for further five years, as per the reports. He has signed a five year deal which will keep him at Anfield until 2020 summer. The wage has been increased to £100,000-a-week, according to BBC reports. The 24-year-old told that he was alaways looking to commit a long term future with the Reds. The Englishman was signed from Sunderland for a fee around £20million few years ago, he is currently the vice-captain and from next season he will be taking the responsibility permanently as Steven Gerrard will leave at the end of the season. He has been exceptional for the Reds so far this term, he has netted six and assisted eight in 31 Premier League appearances. Meanwhile, boss Brendan Rodgers said that the owners are focusing on creating a team that can improve and win trophies in the future. The Reds also sealed the new deals for playmaker Philippe Coutinho and forward Daniel Sturridge earlier this season.